Looking for a specialist house moving company to locate from Sydney to Canberra? Don’t look further; we have helped hundreds of Australian families relocate successfully from Canberra to Sydney. Our interstate specialists Sydney to Canberra Company has invested heavily in technology, equipment, and staff training. All this translates into lower costs for you as we can complete house moving with lesser staff. Using specialized equipment lowers the risk of injuries which leads to lower insurance costs. Our house moving quote for Sydney to Canberra is lower than our competitors and you also benefit from our customer-friendly customer service. 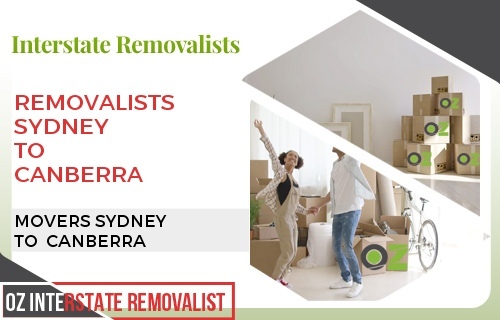 Our interstate furniture removalists Canberra to Sydney company has years of experience of helping people relocate from Sydney to Canberra and majority of our customers have rated our house moving services as “Good” or “Excellent”. All staff working for your Canberra to Sydney interstate furniture removalists project work is professionals. Our years of experience and specialized equipment have enabled us to refine our house moving process and we are able to do it much faster and in a safe way. 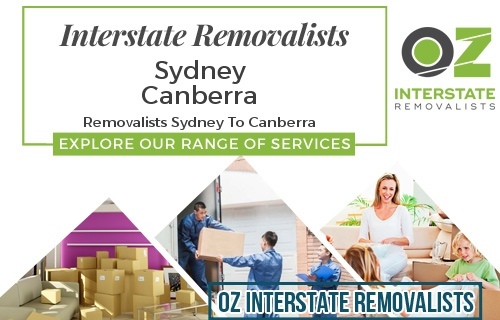 At our Interstate removalists Canberra to Sydney Company, we take all steps to ensure the location from Canberra to Sydney is stress-free for you. We work 365 days a year, so we can also accommodate house moving requests on weekends at no extra charge. Our business motto is Customer first and our staff will leave no stone unturned to make the house moving a happy adventure for your family. Why should you choose our interstate removalists Sydney to Canberra Company? Moving to a different state is a difficult task. You need a proper plan and expert interstate removalists who has the experience of managing such relocation. Our interstate removalists Canberra to Sydney Company is the low price leader which is known for quality house moving service. We can bet no other removalists interstate company can provide the rates that match ours without skimping on quality. We arrange all house moving services for you so you do not have to approach several service providers that can cause chaos. Our trained interstate movers staff creates a perfect house moving plan after deciding the final moving date. We take care of everything starting from providing cartons to packing your delicate items safely in the boxes. With our company by your side, you never have to worry about the large pool table or the grand piano that you want to take to your new house in Sydney or Canberra . We have specialized trolleys and gear to lift such heavy items. Our specially designed trolleys are designed to move heavy items on wooden floors without damaging the wooden floor or the walls. Our interstate removalists Sydney to Canberra Company owns specialized gear to move heavy items. The trolleys are coated with protective coverings to ensure your expensive furniture does not get scratches while moving. Office moving is different from house moving. We have special crates and cartons to safely transport your delicate IT equipment to your new premises. Our interstate removalists Sydney to Canberra Company has helped several businesses large and small to relocate to Canberra. No business organization wants business interruptions and we understand that. We plan your office moves on weekends to ensure minimal business interruptions. We follow a strategy of keeping our clients well informed about every office moving task that reduces anxiety and stress accompanied with such office relocation. Don’t hire any ordinary interstate removalists for your business moving. Always hire an expert interstate movers company for Canberra to Sydney office relocation. Planning is extremely important in-house moving. Our premium Interstate Canberra to Sydney movers packages take care of everything. Here are the four stage of house moving with us. Our interstate removalists Canberra to Sydney professionals work hard to make the relocation a stress-free experience for you. Besides transporting your household items from Sydney to Canberra , our staff also helps in settling you down at new place. Storage – If you need short-term or long-term storage for your valuable possession, we can help you. Our interstate removalists Sydney to Canberra Company has secure storage facilities in Sydney and Canberra . You can keep your items safely in our warehouses until you are ready to move them to your home or office. Looking for a specialist furniture or house moving company to locate from Sydney to Canberra? Don’t look further; we have helped hundreds of Australian families relocate successfully from Sydney to Canberra . Our Sydney to Canberra removalists team has invested heavily in technology, equipment, and staff training. All this translates into lower costs for you as we can complete house moving with lesser staff. Using specialized equipment lowers the risk of injuries which leads to lower insurance costs. Our house moving quote for removalists Sydney to Canberra is lower than our competitors and you also benefit from our customer-friendly customer service. Our interstate furniture removalists Sydney to Canberra company has years of experience of helping people relocate from Sydney to Canberra and majority of our customers have rated our house moving services as “Good” or “Excellent”. All staff working for your Sydney to Canberra removalists project work is professionals. Our years of experience and specialized equipment have enabled us to refine our house moving process and we are able to do it much faster and in a safe way. At our removalists Sydney to Canberra Company, we take all steps to ensure the location from Sydney to Canberra is stress-free for you. We work 365 days a year, so we can also accommodate house moving requests on weekends at no extra charge. Our business motto is Customer first and our staff will leave no stone unturned to make the house moving a happy adventure for your family. If you are looking for the interstate furniture removalists Canberra, look no further. We have helped hundreds of Australian businesses relocate from or to Sydney. Our long list of satisfied clients also includes hundreds of Australian families who trust our house moving expertise. 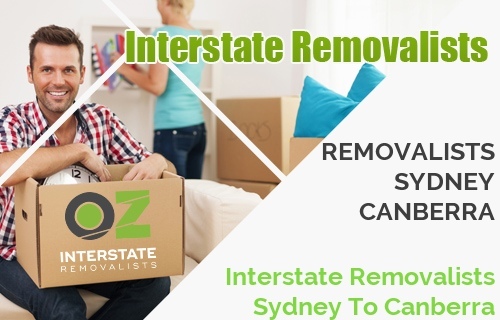 Oz removalists Sydney to Canberra Company offers a comprehensive list of relocation services that are of the highest quality but easy on your pocket. Besides, moving your goods to other states, we also offer packing and unpacking services, loading and unloading services. We are one of the leading interstate removalists in Sydney where you get all house moving services under one roof. Why should you choose our removalists Sydney to Canberra Company? Moving to a different state is a difficult task. You need a proper plan and expert interstate removalists who has the experience of managing such relocation. Our removalists Sydney to Canberra Company is the low price leader which is known for quality house moving service. We can bet no other removalists interstate company can provide the rates that match ours without skimping on quality. We arrange all house moving services for you so you do not have to approach several service providers that can cause chaos. Our trained interstate removalists australia staff creates a perfect house moving plan after deciding the final moving date. We take care of everything starting from providing cartons to packing your delicate items safely in the boxes. With our company by your side, you never have to worry about the large pool table or the grand piano that you want to take to your new house in Sydney or Canberra . We have specialized trolleys and gear to lift such heavy items. Our specially designed trolleys are designed to move heavy items on wooden floors without damaging the wooden floor or the walls. Our removalists Sydney to Canberra Company owns specialized gear to move heavy items. The trolleys are coated with protective coverings to ensure your expensive furniture does not get scratches while moving. We follow a strategy of keeping our clients well informed about every office moving task that reduces anxiety and stress accompanied with such office relocation. Don’t hire any ordinary interstate removalists for your business moving. Always hire an expert interstate movers company for Sydney to Canberra office relocation. Planning is extremely important in-house moving. Our premium Interstate Removalists Sydney to Canberra packages take care of everything. Here are the four stage of house moving with us. Our Interstate Removalists Canberra to Sydney professionals work hard to make the relocation a stress-free experience for you. Besides transporting your household items from Sydney to Canberra, our staff also helps in settling you down at the new place.